A common research method used to collect data on neighborhood conditions is to send trained audit teams to walk or drive through neighborhoods and collect data on neighborhood conditions using standardized audit instruments. This approach is known as Systematic Social Observation or alternatively as a “neighborhood audit”. We have shown that data on neighborhood conditions can be collected as rigorously via ‘virtual audits’ using Google Street View to view street-scapes  at a fraction of the cost of field audits. Street View provides panoramic, street-level views of city streets, in which the user can navigate forward or backward along the street, pan 360 degrees, rotate the camera vertically 290 degrees, and zoom in and out. 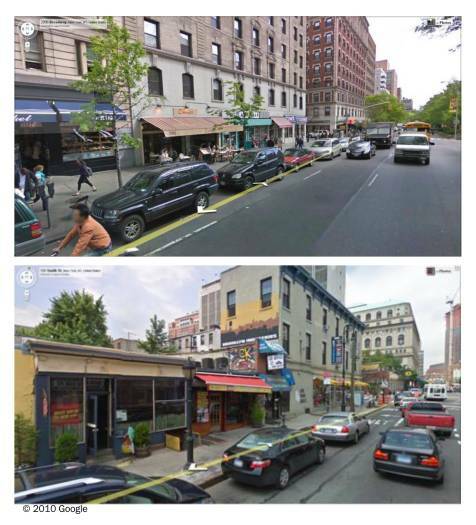 The images below were captured from Street View.